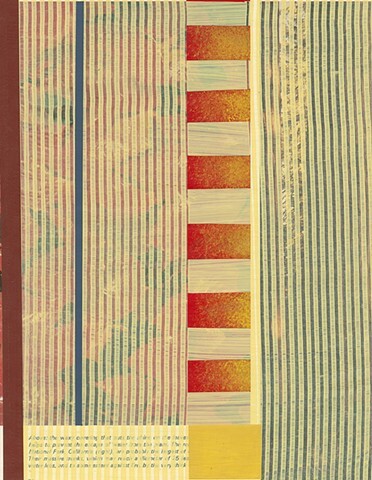 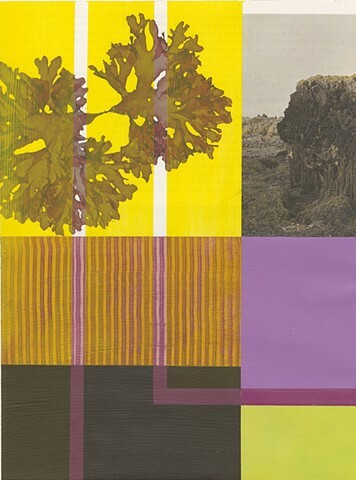 This series of paintings are executed on pages of the “Living Earth,” a series of books published in 1975. 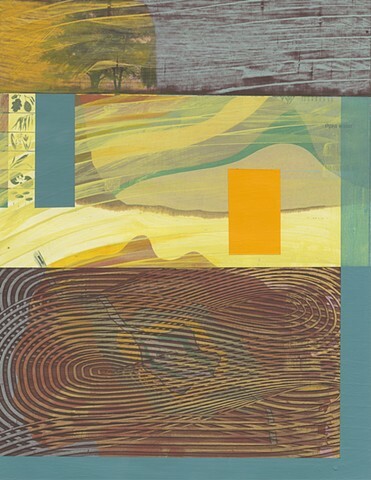 The text and photos attest to the interconnectedness of all living things and the precarious balance that exists within the earth’s environmental systems. 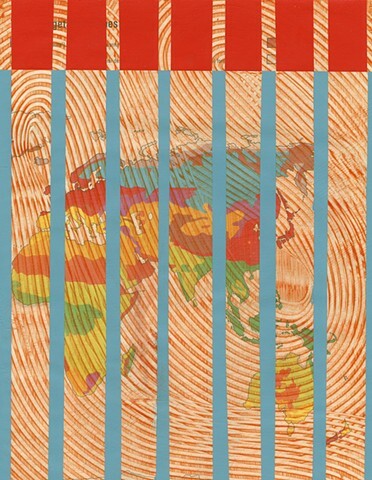 It is disheartening to see how many of these systems continued to be threatened by climate change, pollution, and human impact. 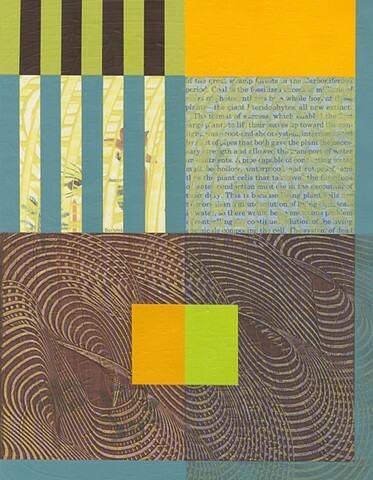 The paintings are responses to the content of the text, design of the page and faded color reproductions. 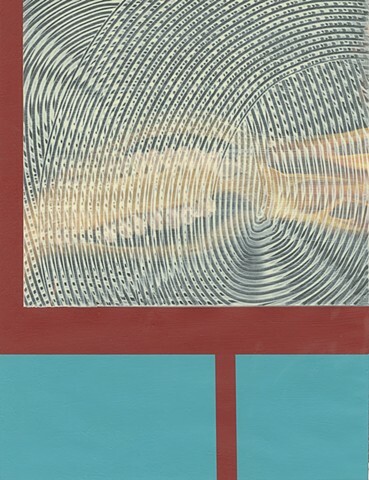 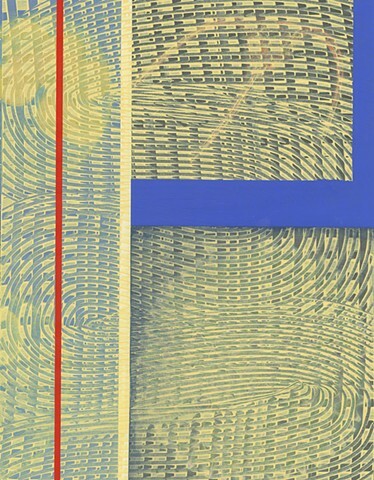 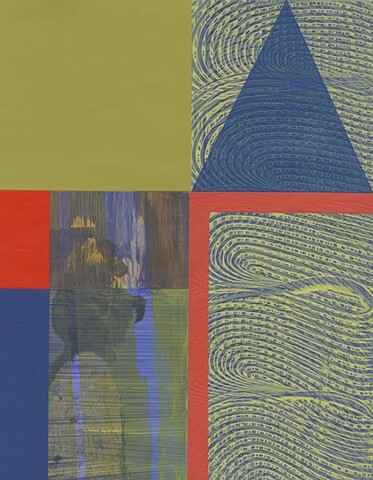 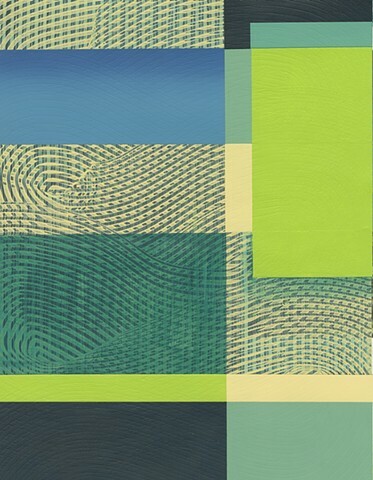 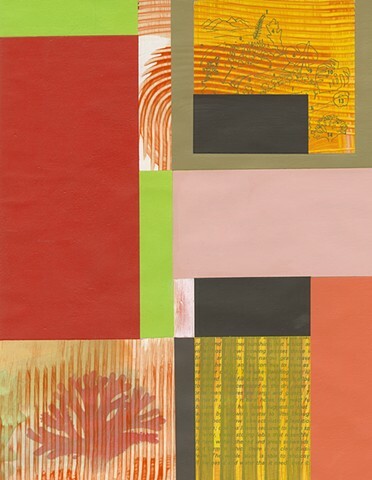 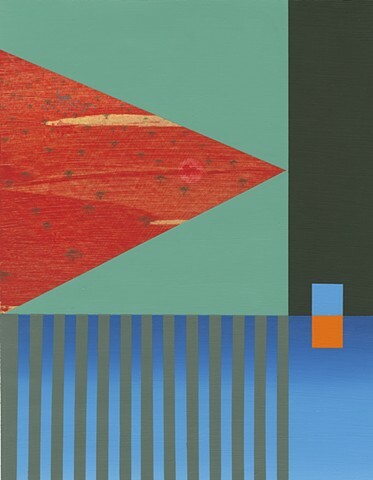 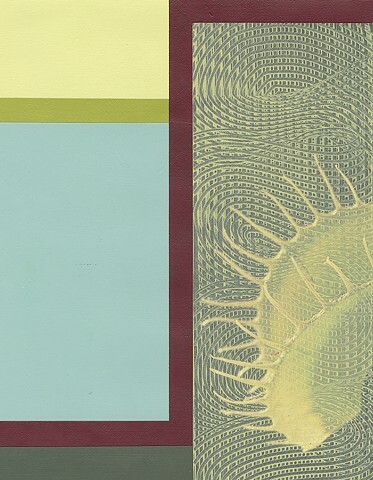 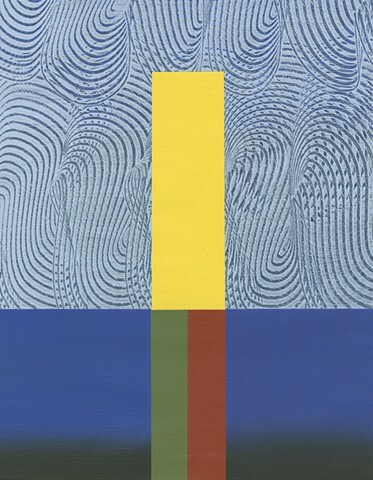 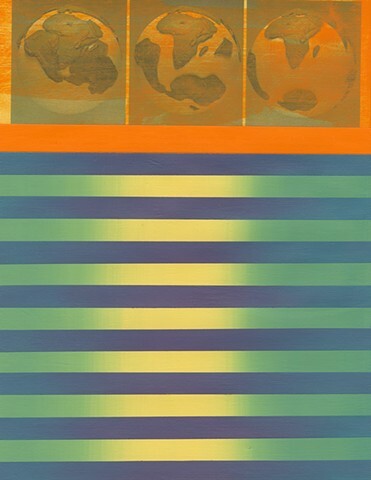 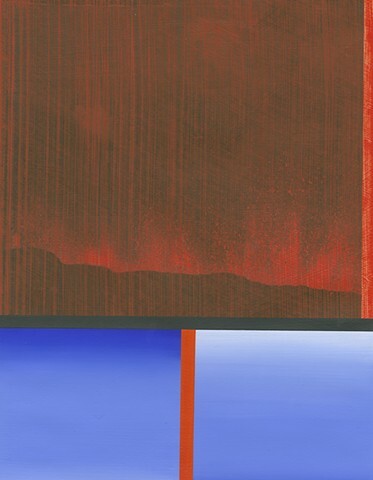 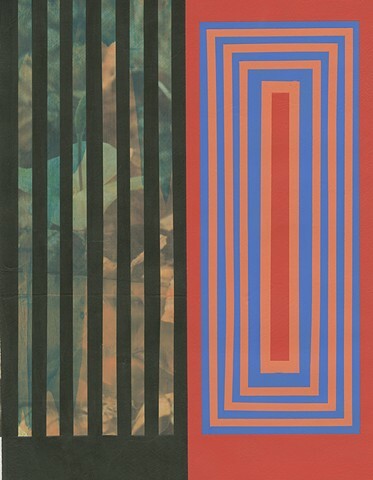 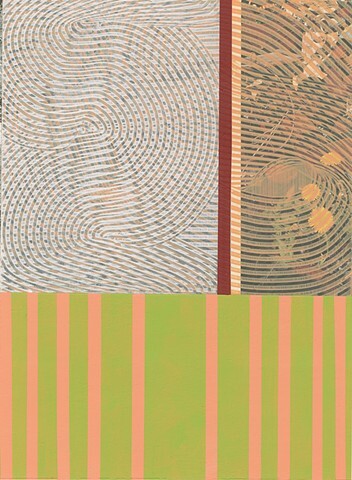 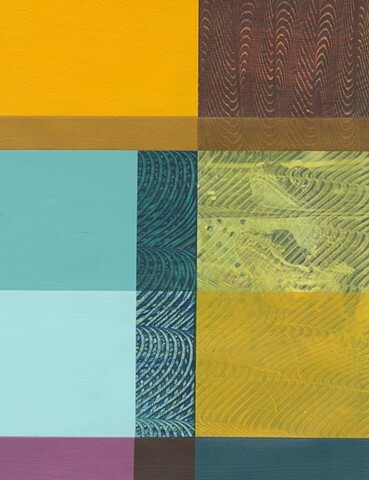 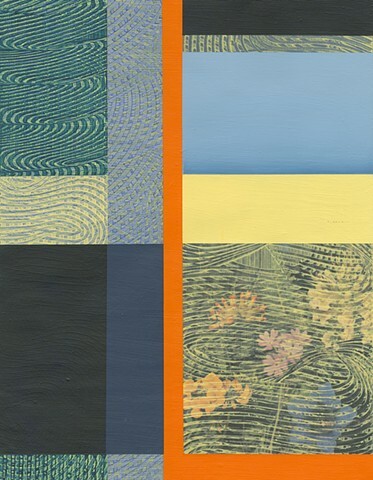 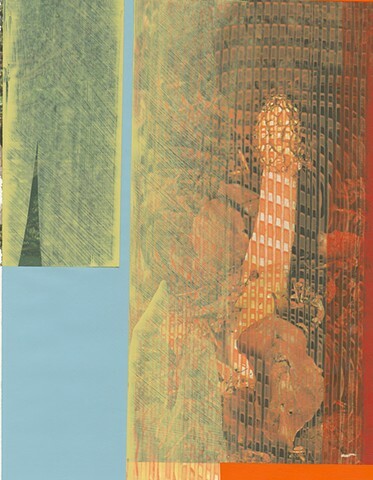 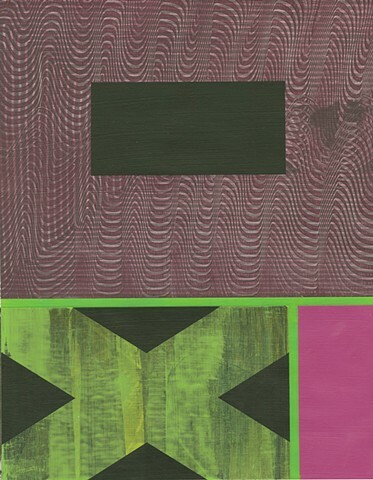 Through color interactions and decorative painting techniques, a tension is created between organic gesture and the imposed geometry. 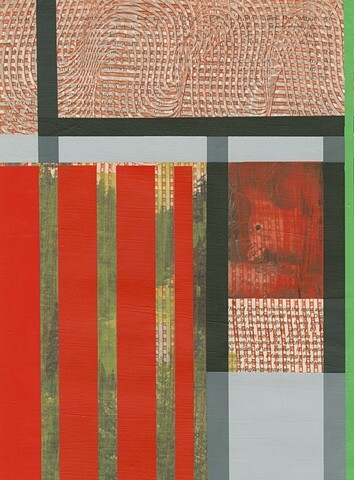 The color interventions are a metaphor for environmental distress.